The most commonly overlooked reason for hair loss is the use of medications, drugs and also the overuse of vitamin and/or mineral supplements. Unfortunately, in the case of life-threatening illness or in the reduction of physical or mental quality of life, it’s necessary to take prescription drugs even though they may lead to hair loss. The difficulty of predicting the effect that a specific drug will have on your hair is that because each individual’s metabolism functions differently, they may not have the same effect on everybody. Good examples of this are aspirin and certain antibiotics, where long-term use can lower haemoglobin (red blood cell) levels in some individuals, but not others. This also applies to the group of drugs used to treat cardiovascular diseases such as hypertension, and to lipid (fats and cholesterol) regulators. While most of these medications can potentially cause extra hair shedding, they do not do so in everyone. Although the percentage of hair loss from many drugs is very small, it’s a factor to consider if you begin to lose your hair after starting a new medication. However, it’s important to realise that increased hair shedding usually occurs between 6 weeks and 3 months after starting a course of medication. The exceptions to this are medications given in very strong doses, or chemotherapy used in the treatment of cancer. If hair loss begins immediately after starting a prescription, within a few days or a week, the cause is often something else - perhaps the illness that made it necessary for you to get treatment in the first place. However, if a certain drug does eventually cause excessive hair shedding, you can ask your doctor if there are other viable options available. If you are prescribed a drug that lists hair loss as a possible side effect, please don’t panic. It may only have a slight effect on hair fall, and also may only affect a small percentage of people in this way. 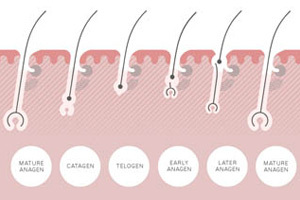 The list of drugs that can impact your scalp hair is vast due to reports being received over a long period of time, and also the fact that all reported instances of hair loss need to be supplied to the consumer. If you are concerned that a prescription medication is causing hair loss, talk to your GP and/or a Trichologist. To encourage healthy hair growth we recommend the TRICHOTHERAPY® Regime, although we always advise to consult your doctor first to ensure that it is fine to combine the treatments. Trichotherapy is a unique three step process designed to provide long term benefits to the hair and scalp as well as visible root lift, instant conditioning, shine and overall fullness to the hair. Customers results using Trichotherapy have been incredible and in user trials 79% of women found their hair fuller and thicker after 12 weeks. 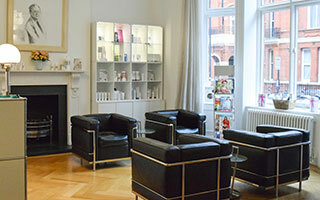 If you're suffering from hair loss, our clinics based in London and New York specialise in hair and scalp treatments. 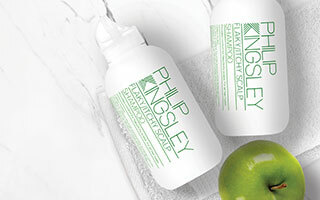 © 2018 Philip Kingsley Products Ltd. All rights reserved.